Highland Queen opened in 1954 and has maintained its family-friendly atmosphere ever since. Well-known in the community as a burger and ice cream destination, The Highland Queen's menu offers favorites like the Brute Burger, the Pork Tenderloin sandwich, Dipped cones, Flurries and more. Ryan grew up in LaGrange and has fond memories of coming to The Highland Queen after t-ball, baseball & basketball games. He took over ownership in June 2018 and is excited to continue The Highland Queen's long legacy as a family favorite in the area. 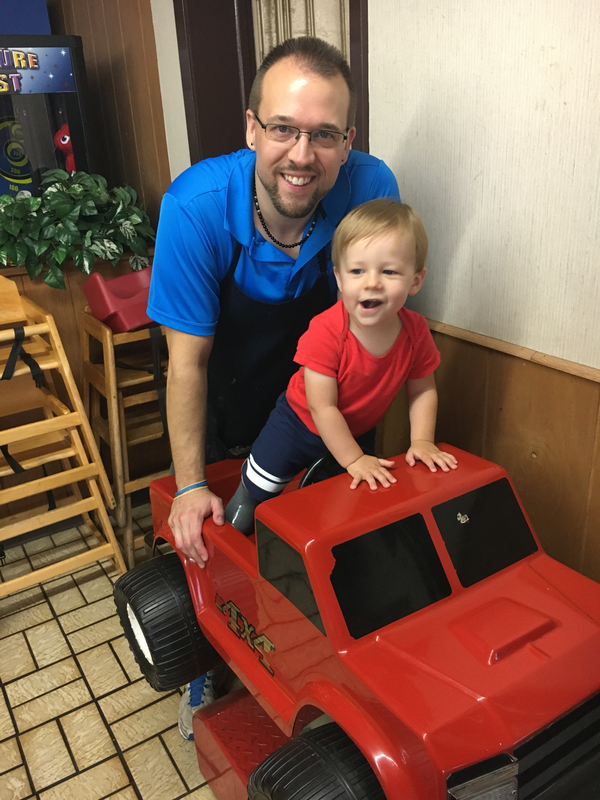 Ryan lives locally with his wife and their son, who especially loves coming to visit the red truck and eat ice cream.